Three public enemy #1s and a host of other troublemakers. Here's a look at the notorious names and faces of the gangster era in Saint Paul. Not a gangster, but the man who enabled it all. Police Chief John O'Connor instituted the O'Connor Layover Agreement in 1900—an arrangement that said criminals could take refuge in Saint Paul under the conditions that they 1) checked in with police upon their arrival; 2) agreed to pay bribes to city officials; 3) committed no major crimes within the city. The agreement lasted nearly 40 years, drawing pretty much anyone and everyone with a significant criminal record to the city at some point or another. It operated smoothly and kept the city largely crime free until O'Connor's retirement in 1920, after which Prohibition and mismanagement of the deal by subsequent police chiefs brought rampant criminal activity inside the city limits. 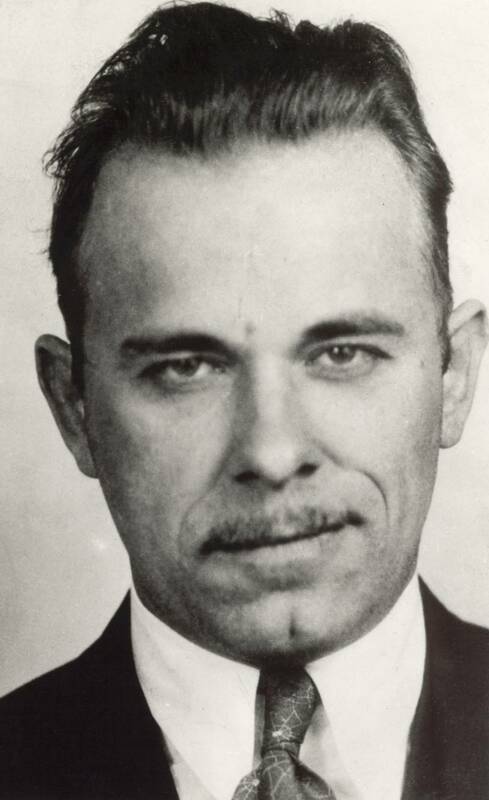 John Dillinger was the most famous gangster who was confirmed to have spent time in Saint Paul. 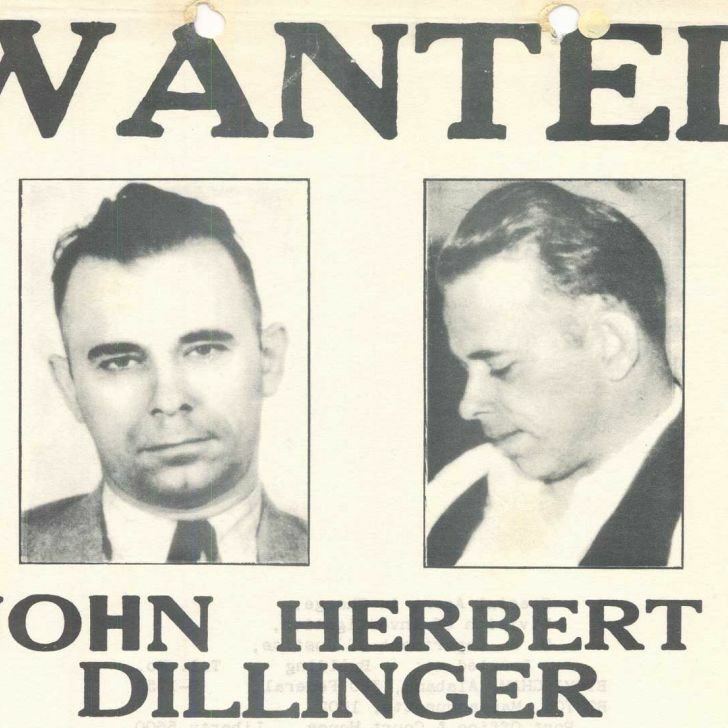 Dillinger's gang robbed two dozen banks and four police stations and, in 1934, he was named Public Enemy #1 by the FBI. In March of that year, Dillinger was hiding out in the Lincoln Court Apartments with his girlfriend Billie Frechette under the alias "Mr. and Mrs. Carl T. Hellman". 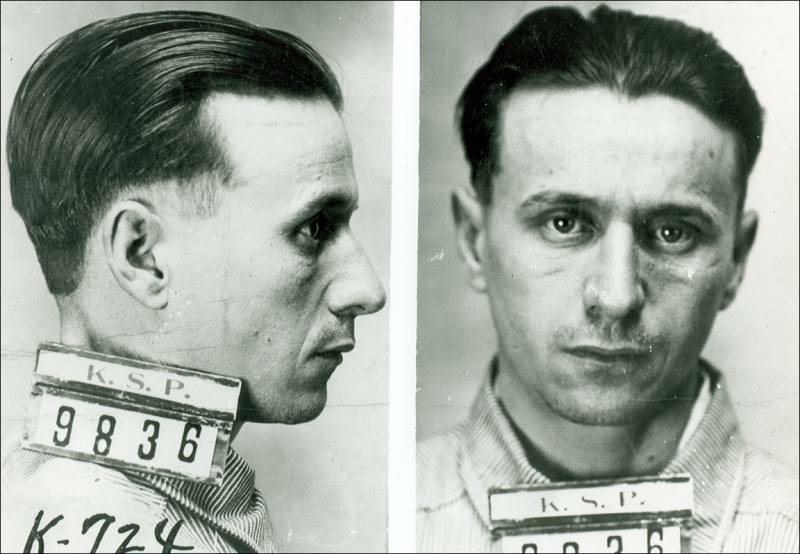 The Saint Paul Police were tipped off by the landlord, resulting in a shootout that Dillinger and Frechette narrowly escaped. 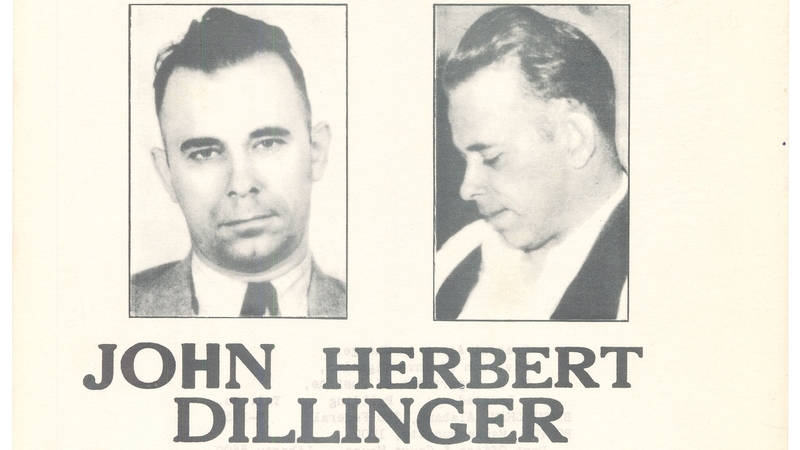 Injured during the Lincoln Court incident, Dillinger and Frechette fled to his father's home in Indiana. 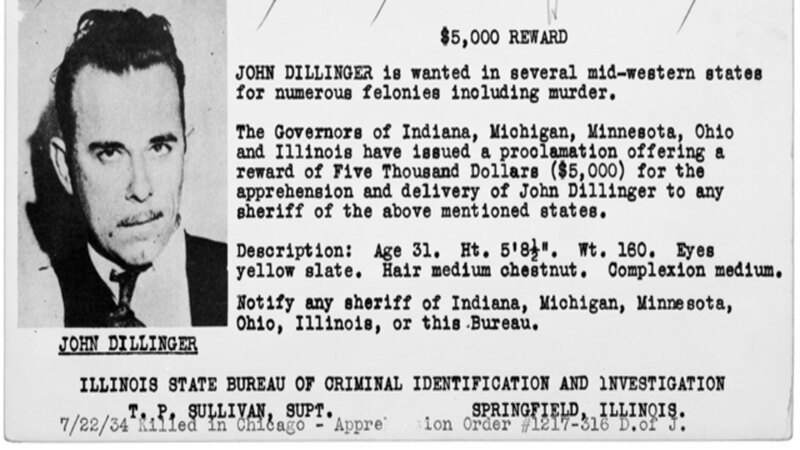 Dillinger returned to Chicago at some point during the summer where he hid out until meeting his end at the hands of police and federal agents in July of 1934. Lester Joseph Gillis, known as George Nelson, was a bank robber and murderer in the 1930s. The nickname "Baby Face" was given to him due to his youthful appearance and small stature. Nelson was a partner of John Dillinger and was named Public Enemy #1 following the death of Pretty Boy Floyd in October of 1934. Nelson frequented Saint Paul's Green Lantern Tavern, where he recruited gangsters such as Homer Van Meter, Tommy Carroll and Eddie Green. He was killed in November of 1934 during a gun battle with FBI agents outside of Chicago. Nicknamed "Creepy" for his sinister smile, Alvin Karpis was one of three leaders of the bank-robbing Barker-Karpis gang in the 1930s. He was the final Public Enemy #1 of the gangster-era (and the only to be taken alive). Karpis' most notable Saint Paul involvements were the kidnappings of millionaire Minnesota brewer William Hamm and Saint Paul banker Edward Bremer—netting the Barker-Karpis gang $100K and $200K, respectively. These kidnappings put Karpis on the FBI's radar and he hid from the authorities while continuing to commit various crimes before being captured in New Orleans in 1936. 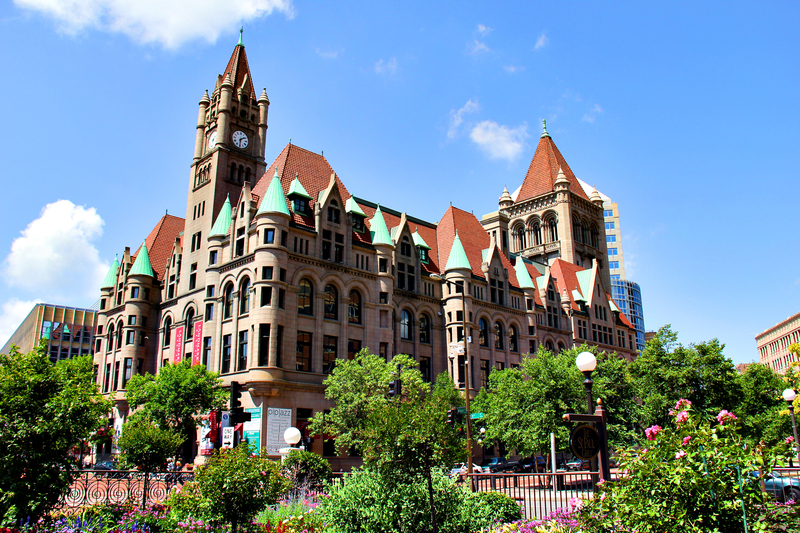 Karpis' trial was held at the Saint Paul Federal Court (now the Landmark Center). 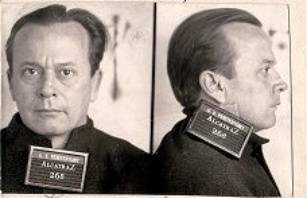 With twenty-six years, Karpis served the longest sentence of any prisoner at Alcatraz Prison before being released and deported to Canada in 1969. His return to his home country was not an easy one as he struggled to obtain passport credentials due to a lack of fingerprints—he had them removed by underworld physician Joseph Moran in 1934. Karpis later moved to Spain where he died of natural causes in 1979. Fred Barker met Alvin Karpis while serving time for burglary in 1927, and the two formed the Barker-Karpis gang upon their release in 1930. The gang committed a string of burglaries in Kansas before relocating to Saint Paul in 1932. During the aforementioned kidnapping of Edward Bremer, Barker nearly shot Bremer when the ransom was not immediately paid. The gang retreated to Florida in 1935 and a shootout on January 16 resulted in the death of Fred and Ma Barker—the only two members who did not flee the house three days prior to the FBI's arrival. Arthur Barker was the brother of Fred Barker and was typically called on by the Barker-Karpis gang to carry out more violent actions. He has been described as a "stone-eyed killer", as well as a "dimwit and a drunk." 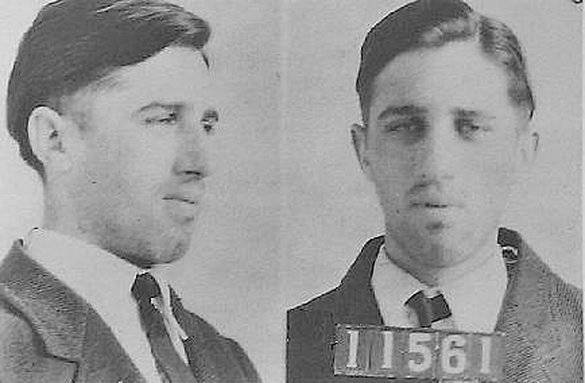 Barker was integral in the Hamm and Bremer kidnappings in Saint Paul, and was arrested on January 8, 1935 in Chicago after splitting off from the rest of the gang. When FBI agents asked where his gun was, Barker famously replied, "Home—and ain't that a hell of a place for it?" He received a life sentence at Alcatraz which was short lived after Barker was shot during an elaborate escape attempt in 1939. Infirmary doctors attempted to give Barker a blood transfusion to keep him alive after being struck by a bullet in the leg, but he ripped the tubes from his arm—preferring death over imprisonment. 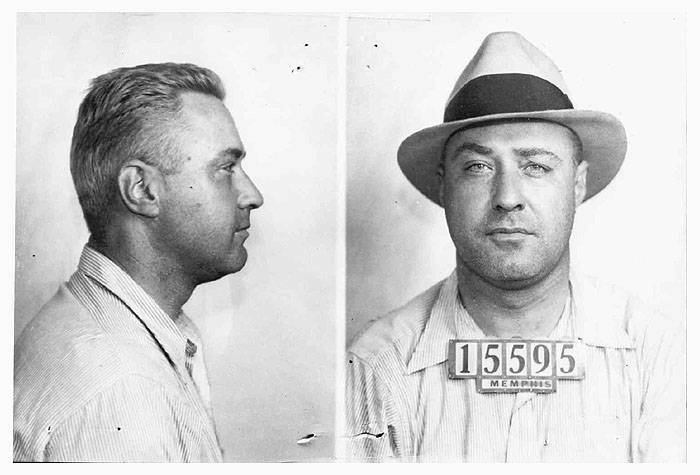 George Kelly Barnes, nicknamed "Machine Gun Kelly" for his favorite weapon (a Thompson submachine gun) was a gangster and bootlegger best known for kidnapping oil tycoon Charles F. Urschel in 1933. His reputation in the crime world took off after moving to Saint Paul with his girlfriend, Kathryn Thorne, upon release from prison for bootlegging in 1930. While in Saint Paul, Machine Gun Kelly reunited with criminals Francis Keating and Thomas Holden (who he had met in prison) which kicked off a spree of bank robberies spanning from Iowa to Texas. He was arrested in Memphis, Tennessee on September 26, 1933 and was sentenced to life in prison. 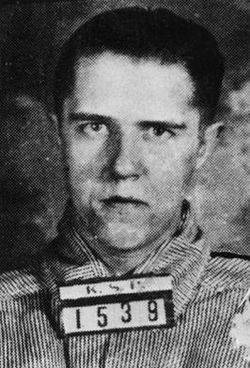 Kelly died of heart failure at Leavenworth Federal Penitentiary in 1954. Better known as Ma Barker, Katie Barker was the mother of Fred and Arthur "Doc" Barker. Ma Barker traveled with the Barker-Karpis gang, eventually settling in Saint Paul under the guise of a normal mother living with her sons. The gang's Saint Paul hideout still stands today at 1031 South Robert Street in West Saint Paul. 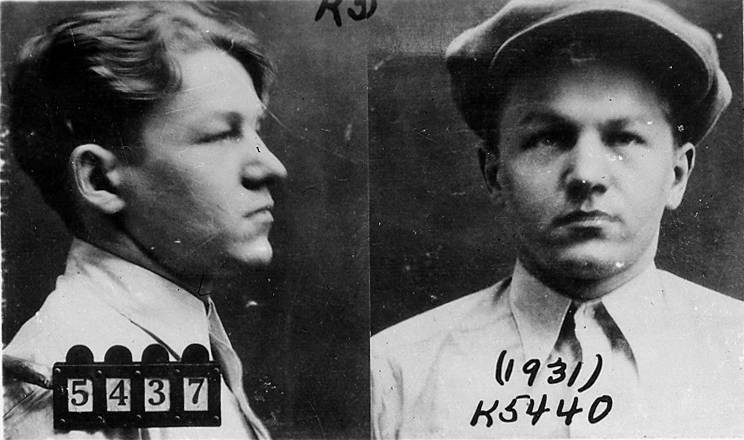 Though some claim Barker was the dangerous brains of the entire Barker-Karpis operation, Alvin Karpis refuted that by saying, “The most ridiculous story in the annals of crime is that Ma Barker was the mastermind behind the Karpis-Barker gang. She wasn't a leader of criminals or even a criminal herself...she knew we were criminals, but her participation in our careers was limited to one function. When we traveled together, we moved as a mother and her sons. What could look more innocent?" Barker was killed alongside her son Fred during a shootout at their Florida hideout in 1935. 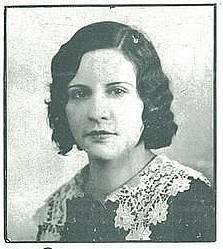 Evelyn "Billie" Frechette" was an American Métis singer, waitress and girlfriend of John Dillinger in the early 1930s. Frechette was involved with Dillinger while he hid out in Saint Paul until her arrest and imprisonment for harboring a criminal in 1934. Frechette's trial took place in room 317 of the Saint Paul Federal Building (now the Landmark Center). She served two years in prison in 1936, then toured the United States with Dillinger's family for five years in their "Crime Did Not Pay" show. Frechette married and returned home to the Menominee Indian Reservation in Wisconsin for a quieter life, passing away from cancer at the age of 61. 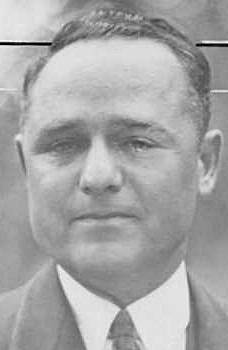 Homer Van Meter was a notable criminal associate of both John Dillinger and Baby Face Nelson. Van Meter was known for being a clown and prankster, but was also once described by the director of research at a Michigan City prison as "a criminal of the most dangerous type. Moral sense is perverted and he has no intention of following anything but a life of crime. He is a murderer at heart and if society is to be safeguarded, his type must be confined throughout their natural lives." Van Meter ultimately met his death in 1934 at the corner of Marion Street and University Avenue in Saint Paul when he was confronted by four police officers and fled to a nearby alley from which he fired at the officers with a .45 caliber pistol. The officers opened fire on Van Meter, killing him in a rather gruesome and relentless attack. Leon Gleckman was known as the "Bootlegging Boss" and "Al Capone of Saint Paul". Gleckman ran his first operation out of the Hamm Building, supplying booze, gambling and prostitutes under the guise of the "St. Paul Recreation Company"—a popular spot that publically offered legitimate activities such as billiards, swimming, boxing and bowling. Gleckman's influence was integral in getting Tom Brown appointed to Chief of Police who, in return, protected Gleckman's various rackets through the prohibition era. 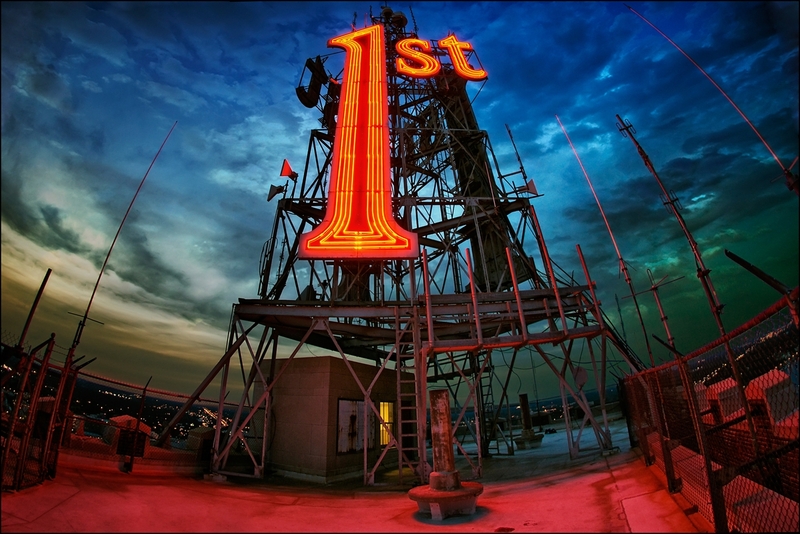 In 1930, he took over suite 301-303 at the iconic Saint Paul Hotel. From the hotel, he paid off police and city officials and met with gangsters and politicians. For all intents and purposes, he was in complete control of Saint Paul's government. Gleckman was arrested a handful of times for various liquor operations and, in 1934, was the second man to ever be tried for federal tax evasion (Al Capone was the first). On July 14, 1941, Gleckman was driving with a blood-alcohol level of .23 and crashed his car into a pillar on the Union Depot concourse. His death was ruled accidental, though some believed it to be a suicide spurred on by his impending federal prison sentence. "Dapper" Danny Hogan was the boss of Saint Paul's Irish Mob during Prohibition. Known as the "Smiling Peacemaker" to local police officials, Hogan was the go-between between fugitives and police during the early years of the incredibly corrupt O'Connor System. The Federal Department of Justice made several attempts to prosecute Hogan but failed to incarcerate him due to his incredibly close ties with the Saint Paul Police Department. Hogan was killed on December 4, 1928 when turning the ignition of his Paige coupe ignited a bomb beneath the vehicle's floorboards—one of the first ever deaths by car bomb. The murder remains unsolved, though declassified FBI files believe Hogan's underboss Harry Sawyer may have been responsible. Hogan is buried at Saint Paul's Cavalry Cemetery. 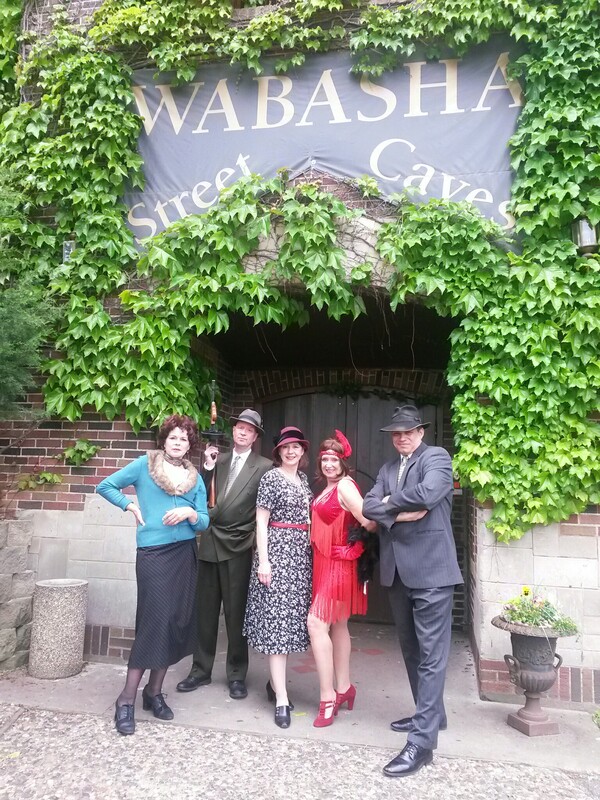 For more on Saint Paul's notorious past, check out our quick history or really immerse yourself on a gangster tour. A look at Saint Paul's notorious involvement in prohibition-era gangster activity.